Written by Nicole Kohler on September 24, 2015 Blog, Bookable goods, Digital store, Start your store. Selling physical products online is a fairly popular business model. Selling digital products is starting to pick up steam as well. But have you ever considered selling your time? If you’re an expert or licensed professional, offer a business with appointment windows, or are interested in finding a new way to increase your revenue, selling your time can offer you a ton of benefits. It’s also a low-risk, low-cost business model that you can do on the side… or full-time, depending on how things go or what your availability is like. 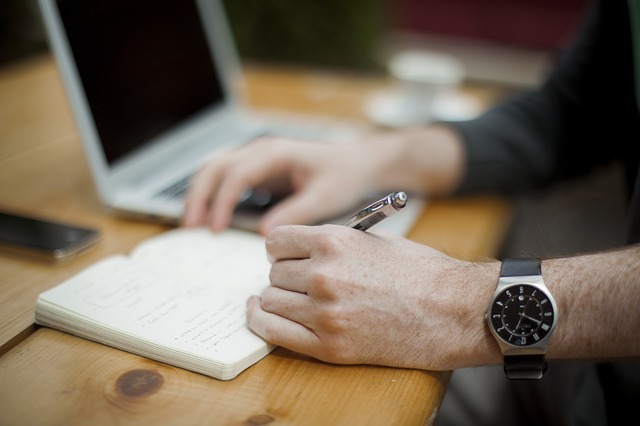 Let’s take a look at all of the benefits of selling your time online, starting with a quick overview of the kinds of business models that can sell their time successfully so you’ll know if this is right for you. You might have the perception that only certain businesses can sell their time online. However, plenty of individuals and businesses can successfully sell their time. Of course, anyone can sell their time. If you have an idea that doesn’t fall into one of these categories, don’t hesitate to follow through on it! These are just some of the most common examples. Truthfully, nearly any business can find a way to sell their time. Whether that involves putting a price on your knowledge or simply offering online appointment windows, it’s something that so many companies can do — they just don’t realize it. Of course, you probably want to know if selling your time is worth it. Our answer? A resounding “YES.” Here’s why. Let’s say you’re the owner of a moderately successful bakery. You’re best known for your cakes for special events like birthdays and weddings, which have intricate fondant decorations and beautiful handwritten phrases in frosting. Over time, more and more of your customers beg you for lessons. 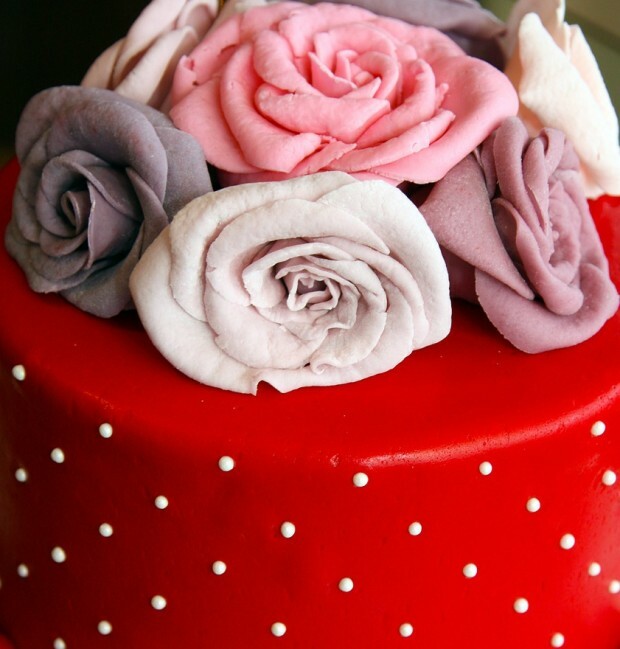 They want to know how to create just a flower or two with fondant, or use frosting the way you do. And honestly, it isn’t hard — nor is it a trade secret. So you set up a few cake decorating classes at your bakery and charge $50 per lesson. Each session focuses on a different aspect of cake decorating. Students can pick their lesson times online, and you can control how full each class gets (whether you want 20 student classes or one-on-one sessions). Cake decorating classes are definitely representative of a pro’s time being sold. This introduces a brand new source of revenue for your business. And this bakery and its lessons are just one example — nearly any business could follow this same model, as long as they have something worth selling. The key point here? Know what your customers want, and will pay to get from you alone. Our fictional bakery was known for cake decorating, thus cake decorating classes. If you’re known for WordPress knowledge, you could offer WordPress coaching or development windows. You get the idea. Let’s revisit our bakery. After six months of cake decorating classes, demand is so high you can’t keep up. Turns out a lot of people want to know how to use fondant. But your bakery sales are higher, too. Every time someone drops by for a class, they buy a freshly baked cookie, or order a cake for their next event. You’ve even had to hire more staff. In this fictional situation, you now have two successful, separate businesses. And that isn’t a bad thing. Starting small with selling your time can help you test the waters for a brand new business. As any business owner knows, it can take a long time for a business to succeed, and some simply don’t. So by investing only a minimal amount of time and money — investing in a basic eCommerce website, bookings plugin, and after-hours activity — you can try out selling your time while giving your existing business the highest priority. Flexibility is one of the best parts about selling your time online. Since you have full control over when you’re available, you can determine how much time you spend doing what it is you’re offering to do. So, as we’ve already indicated, you can offer your services on the side. If you’re a business owner, this means you can give your primary business the most attention. Or if you’re employed full-time, this means you can run a consulting firm on the side for some extra income. You can split your time between your efforts as you choose — not necessarily as your customers choose. But there’s no reason you can’t later ramp up your availability to full-time, either. With our bakery example, as the owner, you could delegate your best decorator to run nearly all of the classes, making more appointment slots available. Or if you break your leg and can’t go into your day job, you can temporarily go full-time as a consultant. When you sell your time, you’re in full control of how much time you invest. It doesn’t have to be a 9-to-5 unless you want it to be! There are plenty of businesses that already sell their time — hair salons, dog walkers, coaches, fitness instructors, and lawn care specialists, just to name a few. However, very few of these businesses or individuals allow their customers to automatically book their appointments online. Instead, the process takes a lot of phone calls or emails to figure out what time works best for the business and the customer, where the meeting will take place, what’s needed to make it happen, and so on. Allowing an appointment to be booked online makes you look like a thoughtful, amazing superhero working some kind of crazy magic. 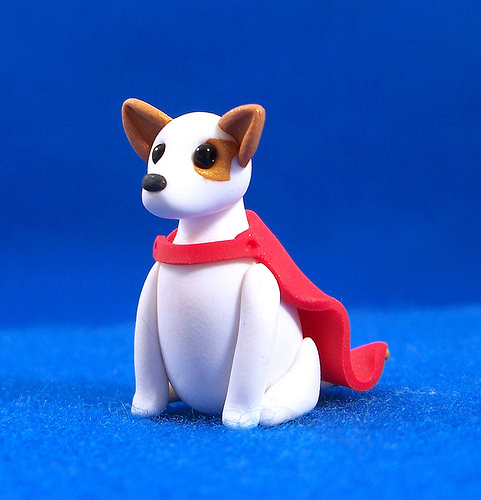 Instead of making countless phone calls, your customers can see your availability instantly. Instead of asking “is this day open?” your customers will know for sure with a single click. Another perk: customers are much more likely to book with a service provider who makes things convenient for them. Why go through the hassle of picking up the phone and calling Dog Walking Company A when Dog Walking Company B has their schedule, pricing, and appointment times right there? If you’re already selling your time but aren’t already offering some kind of online booking — even a minimal system — definitely reconsider it. Your customers will love it, trust us. We’ve already touched on this, but it’s worth repeating: selling your time online opens up a great many possibilities. You can sell access to your knowledge, special skills, or simply an appointment in your shop. Everyone has something they know about, and could probably consult about, given the chance. For a lot of you store owners, you could probably speak very passionately about running a business or selling online, right? Or if you sell physical goods, you could probably speak passionately about your industry, or the products you create and/or sell. Have you ever considered offering consulting in your industry, or helping new business owners? It’s worth considering! Knowledge is hard to put a price on, but people will pay for it if you can show you know your subject matter well. You can also sell access to your time in multiple ways, too. If you’re a marketing professional, you might offer multiple packages like in-person consulting, online consulting, speaking, and website reviews. Each package could have its own time slots. The possibilities really are astounding. You just have to know what you want to do, how much time you want to spend, and then run with it! Keen to sell your time online? 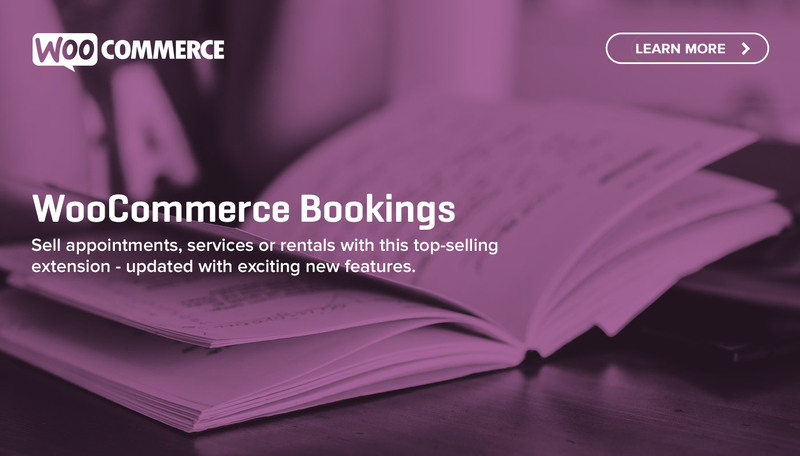 We recommend WooCommerce Bookings as the best way to get started. We hope this post has made some of the benefits of selling your time clearer to you. As always, if you have any questions about selling your time, or any ideas of your own to pitch in, we’d be pleased as punch to hear from you in the comments below. Don’t be shy! Really, i like this information! Great article – thanks for sharing. We’ve been using vCita for online appointments to sell our virtual training services. We’ve given many plugins to integrate with a wordpress a try but eventually failed in one way or another. May have to give Bookings add on a try – does it have an interactive popup ability (tab at the bottom similar to chat)? That is one thing we missed with the others and actually had less contacts from visitors when we removed that ability. Hey Lori, glad you enjoyed! Currently there’s no chat ability built into Bookings, though that’s an interesting suggestion 🙂 There are some other livechat plugins out there for WordPress that look to be well-received, however, so you could always try out one of those. Automattic uses Olark to help out its WordPress.com users, and it’s pretty slick: https://www.olark.com/help/wordpress Might be worth a shot? One of the biggest issues that users will face when purchasing bookings however, is the inability to pad time. I find that Bookings is great for a handful of scenarios but there is such a diverse way that individuals and companies would make use of selling their time and it’s severely hampered by the lack of this feature. For example: Typically a massage therapist isn’t going to book their clients back to back. They put up a 15 minute padded buffer. Considering the cost of a Bookings license it’s a tough sale for a majority of my clients without the ability to pad time. It’d be nice to see Bookings get some more developer love with feature updates. I forgot to mention that Bookings is also missing the ability for linked time slots; another huge key feature that would make the system a more robust all-in-one solution. For Example: If a user sets a Custom Date Range for a service and then sets a Date (Thursday) with an assigned time range any date that is a “Thursday” will inherit the time range; not just for the specific date defined in the Custom Date Range. So again, while I love Bookings and would recommend it for some scenarios it’s lacking in a few key areas and it’d be nice to see the system get some feature enhancement love. Unfortunately, the unavoidable thing about selling your time is that there is an inherent limit on how much you can make. No matter how much you charge, you still only have a certain number of hours that you can be awake, let alone focused and attentive and worth the fee you’re charging. Great post and something more people should check into. I have been selling my time online for a few years. Have tried different approaches with different services to find that sweet spot. When Woo bookings came out I glommed onto it right away. For me it has worked perfectly and seamlessly. Right now I only use it for my 1 or 2 hour training/coaching calls because that’s what fits it best. But when I did sessions in-person at a couple locations, it was also perfect for that.